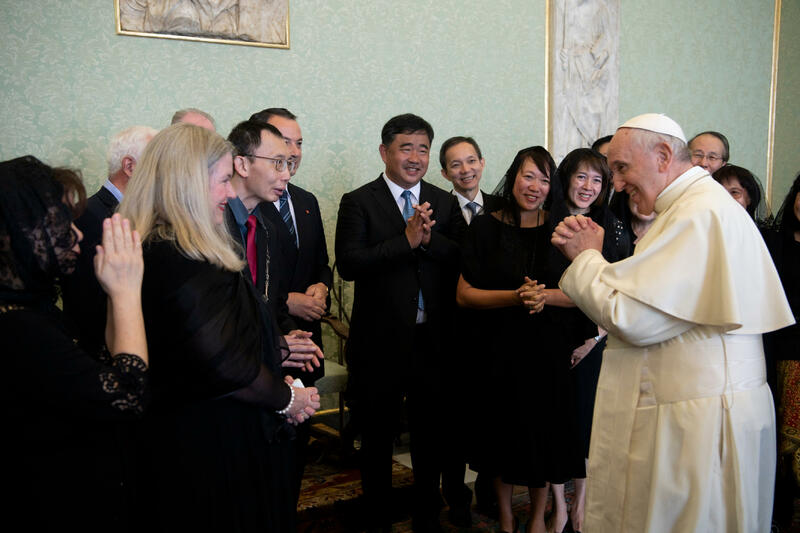 The International Federation of Catholic Medical Associations was founded in 1966, at the International Congress held in Manila (Philippines), but its origins are much older. We must go back to the distant year of 1864 in order to find the first root of this organization. This was the year Pope Leo XIII published the encyclical letter Humanum Genus, calling for the formation of organized groups of Catholic professionals, in order to present their principles of action and to combat materialism and atheism. A French doctor from a provincial town, Dr. 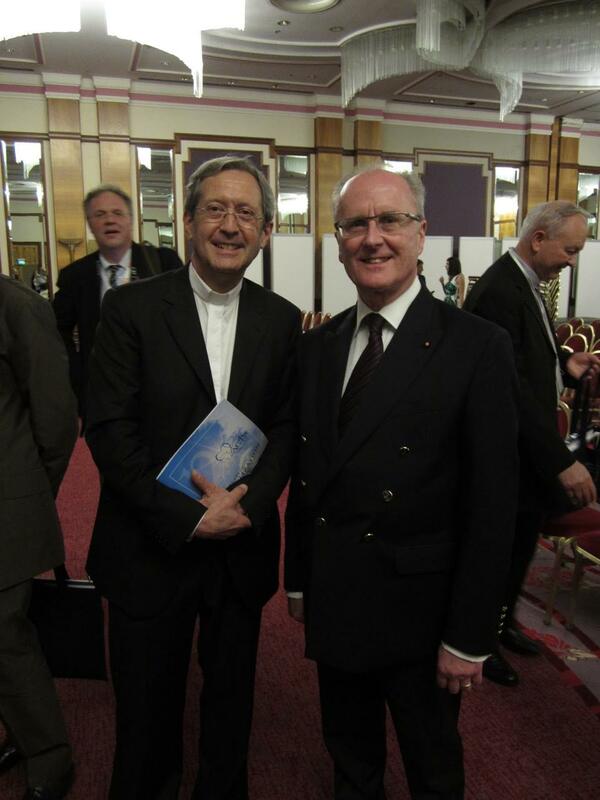 Le Bele, a disciple of the great scientist Claude Bernard, heard the papal appeal and responded by launching the first guild of Catholic doctors, the Society of Saint Luc, Saint Cosmas and St. Damian, which in 1907 became of national dimension. Other countries followed, so that in 1924 the need was felt to coordinate the efforts and activities till then confined to the the local level. It was again a French doctor, Dr. Pasteau from Paris, who, following the advice of Pope Pius XI, created a central Secretariat of the National Associations of Catholic Doctors. This Secretariat kept contacts with the National Associations, stimulated the formation of other groups and organized meetings of European Associations, as for example those held in Budapest (1930) and Paris (1934). In 1935 the International Congress was held in Brussels, some non-European Associations (Chile, Colombia, United States) joining it. It was followed by the Congress held in Vienna in 1936, when the ominous shadows of totalitarian regimes extended throughout Europe. Very appropriately, the theme was Eugenics and Sterilization and the conclusions were both courageous and prophetic, denouncing eugenics and rejecting sterilization, and demonstrating the absence of a scientific basis for the principles then widely proposed in Europe and the United States for the “amelioration of the races”. After the Second World War, the Associations met again at an International Congress in 1947, at Lisbon, where they had the occasion to discuss Individual and Collective Medicine. 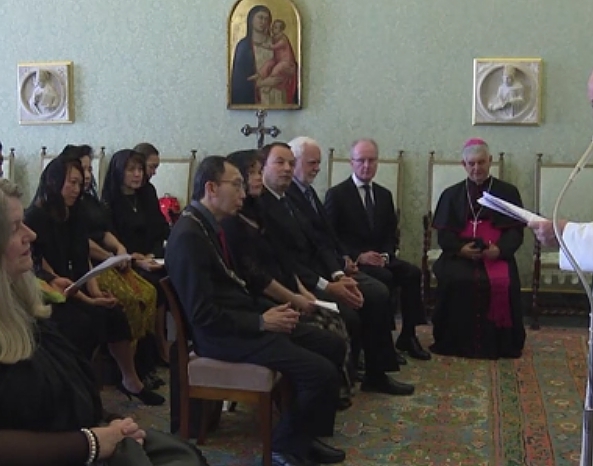 In 1949 the Congress was held in Rome and a second Secretariat founded, in close connection with Pax Christi. 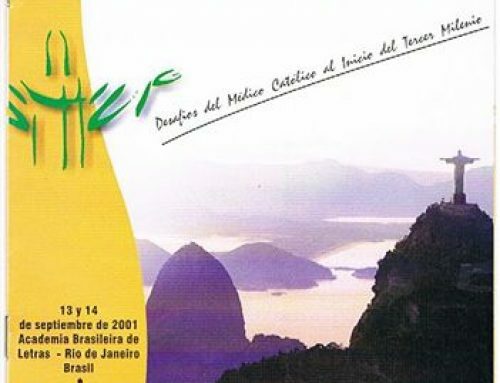 This situation happily did not exist for a long time, since the Fifth International Congress (Paris, 1951) decided to merge the two Secretariats into one, the mission of which was to organize the Congresses and to establish a genuine International Federation of Catholic Medical Associations. The first goal was attained, as shown by the realisation of the Congresses of Dublin (1954), The Hague (1956), Brussels (1958), Munich (1960) and London (1962). 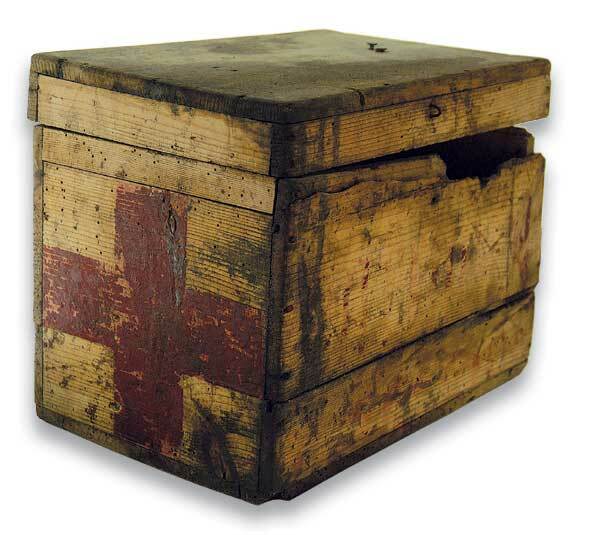 This last one represented a turning point in the history of the international meetings of Catholic doctors, because it was the first one to have a large participation of extra European countries; besides, it took the resolution that International Congresses should take place every four years (which has been strictly observed since then) and that the next one should result in the legal and statutory foundation of the International Federation of Catholic Medical Associations, to be known under the acrostic of its French designation, FIAMC. This happened during the 11th Congress, at Manila, in 1966, where the Constituting Assembly adopted the official Statutes and Bylaws, subsequently approved by the Holy See, who recognizes FIAMC as the only international organization of doctors representing worldwide all Catholic physicians. Since then, the Federation grew, expanded its membership to Associations of all continents and organized it self in six Regions, some of which (Europe, Latin America and Asia) hold regularly their own Regional Congresses in the interval between the International Congresses, held in Washington (1970), Barcelona (1974), Bombay (1978), Rome (1982), Buenos Aires (1986), Bonn (1990), Porto (1994) and New York (1998); Seoul will host the 21th Congress, in 2002, whereas an Extraordinary Congress, the 20th, took place in Rome in 2000, as part of the official activities of the Jubilee. The roster of the themes of the 20 Congresses held till now eloquently speak about the interest and the meaning of the questions addressed. In fact, themes like World Population, Medicine and Law, Quality of Life, Freedom and Medicine, Respect of Human Life, Biological Nature and Dignity of the Human Person, The Doctor and the New Evangelization, Medical Ethics in the Third Millennium, represent subjects of great significance not only for the Catholic doctor, but also for the medical profession at large. It is the policy of FIAMC to have these themes addressed by international experts in the respective field and to include free communications and other presentations in order to lay down the basis for comprehensive treatment of these questions. Moreover, Proceedings of many of the Congresses have been published. 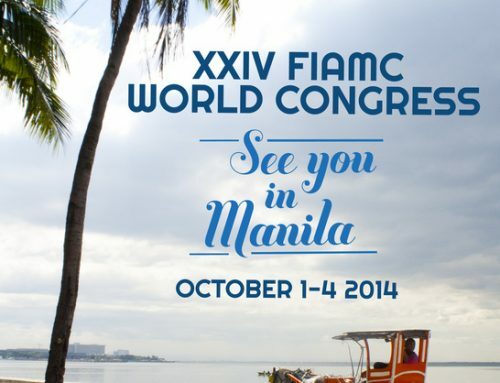 FIAMC does of course not limit its activities to the organization of World Congresses. It has its permanent Secretariat in Rome, publishes its bulletin “Decisions” as a source of information and a discussion Forum, sponsors the Biomedical Ethics Center in Bombay, serves as a clearing house for projects of Catholic organizations and charities, and gives sponsorship or patronage to health care projects in developing countries. 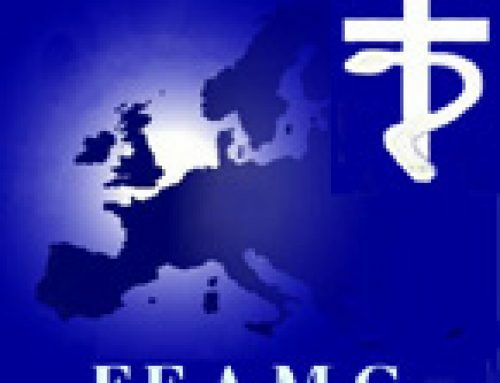 Thus, FIAMC has over the years responded to the tasks it faces in a spirit of responsibility and awareness of its role; it has been able to make its voice heard, it defends the great ethical principles of the practice of Medicine in the light of the Catholic faith and tries to be a space of reflection and a working group; in order to reach these aims it needs the active and interested cooperation of all those doctors who want to live their personal and professional lives in the light and the precepts of the Divine Master. EDITOR’S NOTE: This is a short overview of the History of FIAMC. A more detailed historical description was prepared by the late Dr. Jean Kluyskens, former treasurer of FIAMC.